A cataract is a clouding of the normally clear lens of the eye. A cataract decreases the amount of light that is focused on the retina, resulting in blurry vision. 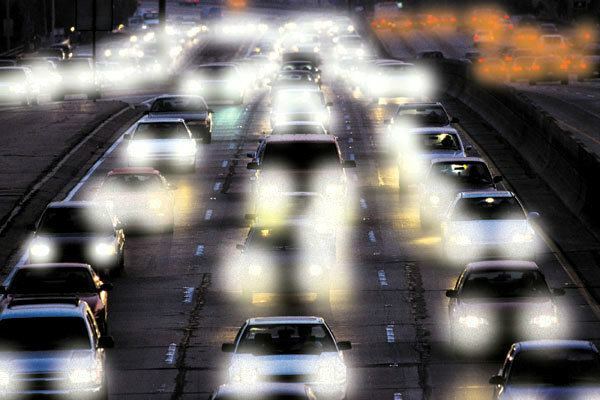 Having a cataract disturbs vision much like looking through a fogged windshield. The lens is the part of the eye that helps focus light on the retina. The retina is the eye’s light-sensitive layer that sends visual signals to the brain. In a normal eye, light passes through the lens and gets focused on the retina. To help produce a sharp image, the lens must remain clear. The lens is made up of mostly water and protein. The protein is arranged to let light pass through and focus on the retina. Sometimes some of the protein clumps together. This can start to cloud small areas of the lens, blocking some light from reaching the retina and interfering with vision. A cataract can occur in any part of the lens: In the front, center, or back. The front cataract causes problems with vision and glare from light sources. A central cataract causes problems in far vision and may not affect reading. A posterior cataract causes problems with reading. It is also possible to have a combination of all the three cataract forms. A painless blurring of vision, as if your glasses are dirty or scratched. This blurring of vision progresses gradually over time- it doesn’t happen overnight. Needing brighter light to see and read clearly. Gradual loss of color vision, or yellowing of colors. As the cataract develops, its center becomes more and more yellow, giving everything a yellowish tinge. The appearance of dark spots or shadows that seem to move when the eye moves. Double or multiple visions. This symptom often goes away as the cataract grows. A time where it may become easier to read without glasses. It is known as “second sight.” This is a result of a change in shape of the lens due to cataract. Age-related cataract: Most cataracts are related to aging. More than half of all Americans age 65 and older have a cataract. Secondary cataract: Cataracts are more likely to develop in people who have certain health problems, such as diabetes. 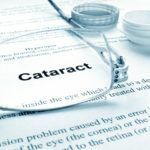 Cataracts are also sometimes linked to medications such as steroid use or previous eye surgery. There are no medications, no eye drops, no exercises, or no glasses that will cause a cataract to disappear once it is formed. Surgery is the only remedy to remove a cataract. At a certain point, surgery is performed to improve vision. Today, cataract surgery is very safe and very effective. When a cataract is small (i.e. cloudiness affecting only a small part of the lens), you may not notice any changes in your vision and it may not cause a problem. 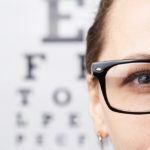 Stronger lighting, magnifying lenses, and eyeglasses may alleviate vision problems caused by early-stage cataracts. However, over time, the cataract may grow larger and cloud more of the lens, making it harder to see. To determine the presence of a cataract and evaluate its effect on your vision, your first step will be to schedule a comprehensive eye exam. Dr. Tandon will perform a series of sophisticated tests: A Visual Acuity Test is performed to assess your central vision. A Refraction Test determines how beneficial your current eyeglasses are and whether a change in your prescription will be helpful. 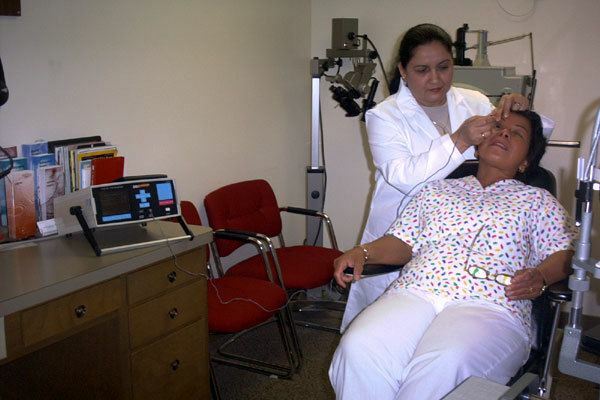 Tonometry: Measures the pressure of the aqueous humor within the eye. 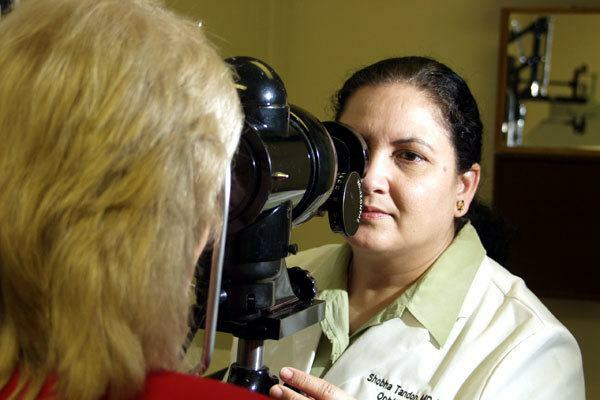 This test is helpful in detecting glaucoma and monitoring its treatment. Keratometry: Measures the radius of curvature of the cornea. A-Scan Test: It measures the length of your eye. 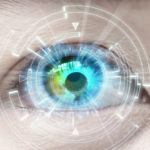 It helps in determining the refractive power of the intraocular lens implant that is used to replace your eye’s cloudy lens in cataract surgery. Additional examination may involve Brightness Acuity Tester (BAT) which evaluates glare disability due to cataract and a Potential Acuity Meter (PAM) which helps in determining improvement in vision that can be expected after removing the cataract. Visual Field Testing may also be needed. 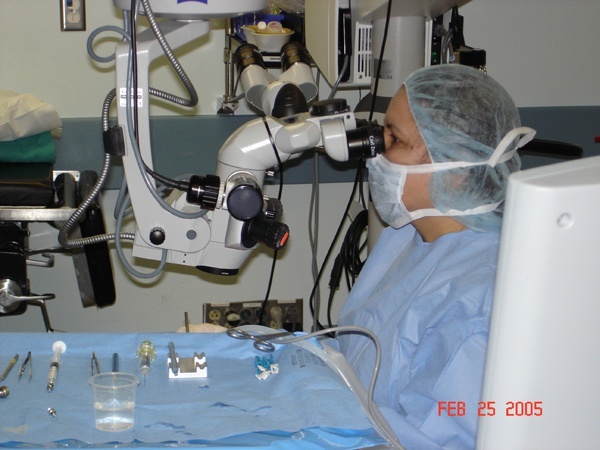 Dr. Tandon also examines for any other condition that may affect the outcome of cataract surgery. This thorough evaluation includes examination of your eyelids and lid margins, cornea, intraocular lens, retina, and optic nerve. 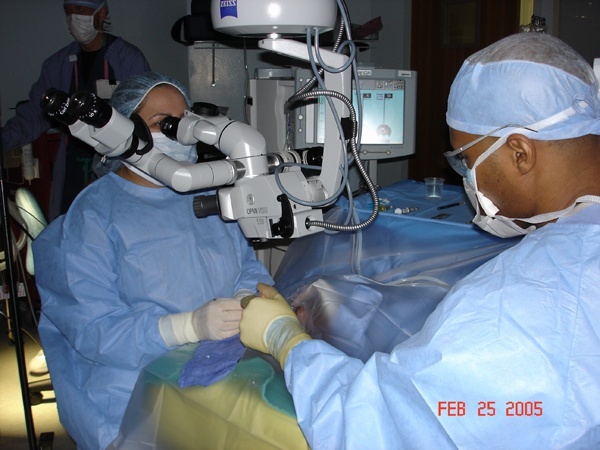 Cataract surgery is a highly successful procedure. Over 95% of patients experience improved vision after surgery. Cataract surgery is an outpatient procedure performed under local or topical anesthesia. After your initial cataract surgery, you will be asked to avoid heavy lifting, bending or exercise for 2 weeks. You will be asked to use some eye drops in the operated eye. Your eye will be examined very frequently during the post-surgery period. 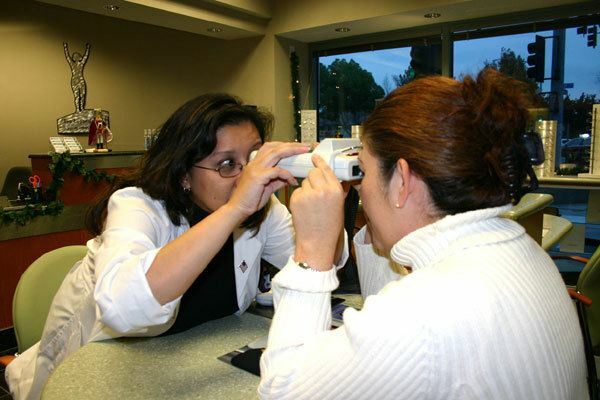 After the first corrected eye is healed, a second eye can be operated on or a new prescription for eyeglasses is given. Cataract surgery consists of a small (only 2.8mm) cut made on the side of your cornea and a small instrument, called a phacoemulsification probe, inserted through this cut to emulsify and remove the cataract. The focusing power of the natural lens is restored by replacing it with a permanent intraocular lens implant. The initial wound is self-sealing and no stitches are required to close the wound. In some people who have had a cataract surgery, the natural capsule that supports the intraocular lens becomes cloudy. Laser surgery is then used to open this cloudy capsule, restoring the clear vision. Get informed on cataract surgery! There are many misconceptions about cataracts. Becoming informed on the real issues surrounding cataracts will help you make the best decision possible in treatment. Cataract is not a curtain or film that grows over the eye. It is not caused by over-using your eyes. It does not spread from one eye to the other eye. It does not cause irreversible blindness. Cataracts do not develop by use of computer. There are no medications, no eye drops, no exercises, or no glasses that will cause a cataract to disappear. 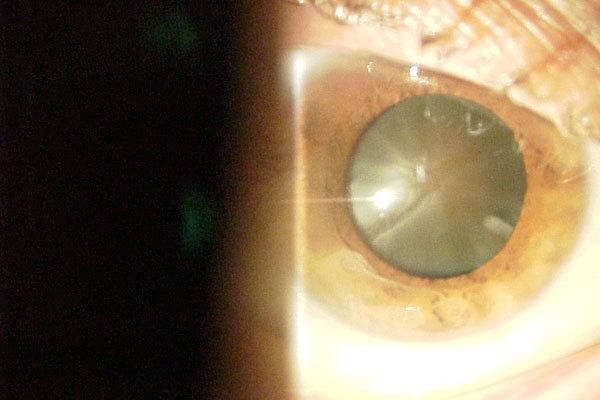 Cataracts do not need to be “ripe” before they can be removed. Surgery is the only remedy to remove a cataract. 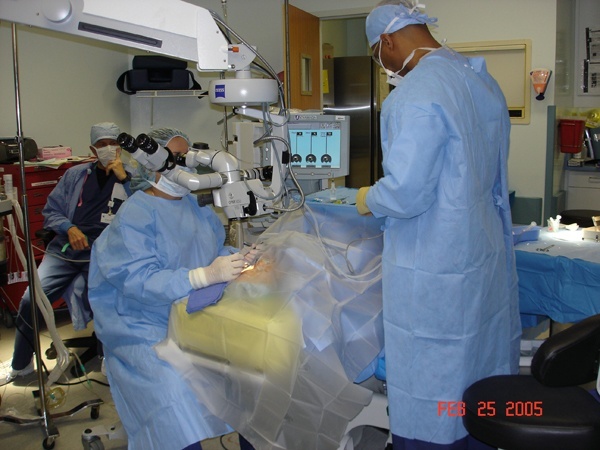 At present, laser is not used to remove a cataract. Cataracts cannot be prevented because lens changes occur as the eye ages, however precautions may slow their development. Recently, some researchers believe that antioxidants (vitamin E, Lutein etc.) may delay the development of cataract. 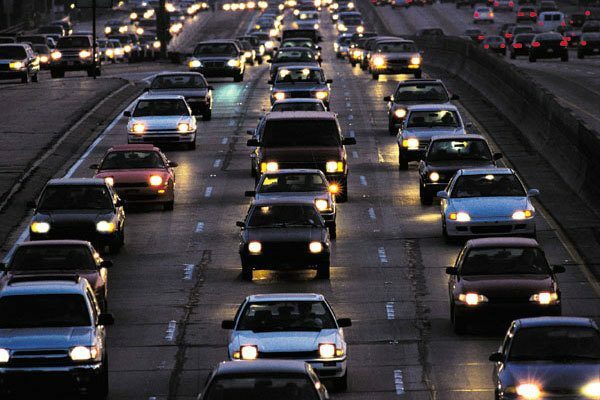 Avoiding cigarette smoke, heavy alcohol consumption, and air pollution may also help. 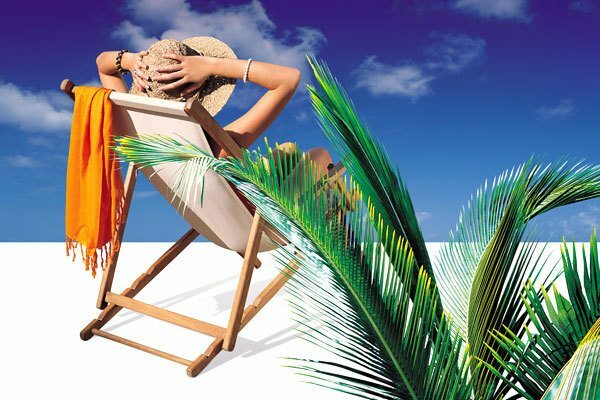 Dark glasses should always be worn to protect from ultraviolet light rays. How quickly the cataract develops varies among individuals, and may vary even between the two eyes. Most age-related cataracts progress gradually over a period of years. Other cataracts, especially in younger people and people with diabetes, may progress rapidly over a few months. It is not possible to predict exactly how fast cataracts will develop in any given person. If your vision cannot be improved by changing the prescription of eye glasses and you are limited in doing your daily routine activities such as driving, playing golf, watching television, or reading due to cataract formation, you can consider cataract surgery. It is not true that a cataract needs to be “ripe” before it can be removed. If you have cataracts in both eyes, your ophthalmologist will not remove them both at the same time. Each will be removed separately with an interval of at least two weeks. Sometimes, a cataract should be removed even if it doesn’t cause problems with your vision. For example, a cataract should be removed if it prevents examination or treatment of another eye problem, such as age-related macular degeneration or diabetic retinopathy. If you believe you have a cataract, contact NeoVision to take the first step on your journey to better vision today.